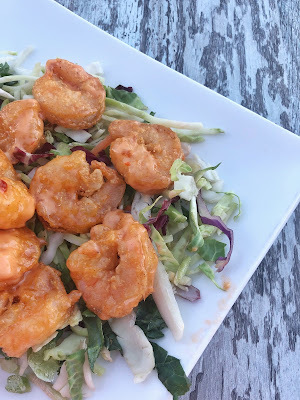 Firecracker Shrimp: Lightly breaded shrimp, blackened seasoning, and spicy house made sriracha sweet chili sauce served over a power kale blend. When you step outside you’ll notice that the green trees are beginning to turn shades of burnt reds and oranges, but there is no cool crisp in the air. 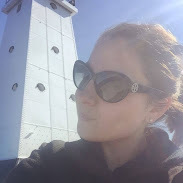 As a matter of fact it was in the high 80’s Sunday, so my boyfriend decided we should take the boat out to Lake St. Clair. While the temperature was up, the ride out on the water was rough, really rough. The good news out of it is that my boyfriend is really skilled on the water and did the best he could to make it the smoothest possible ride. Before we headed off the water we decided to take the boat to dinner at North 42 Restaurant and Bar which is part of MacRay Harbor. We’ve been here multiple times together now, and the food never disappoints. One thing I really enjoy about my boyfriend is the fact that he will share food with me; this allows us to try more things out which I really love. 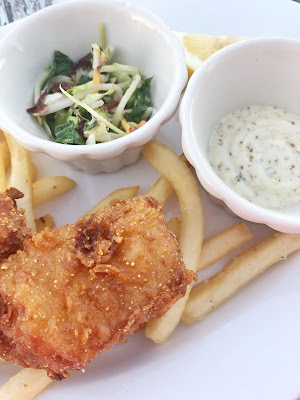 During this visit we split the Firecracker Shrimp on the appetizer portion of the menu, and the Pale Ale Fish & Chips since they were so good last time. With summer turning to fall I am really going to miss date nights on the water.